Strix sumatrana Raffles, 1822, Sumatra. Two subspecies are recognized. 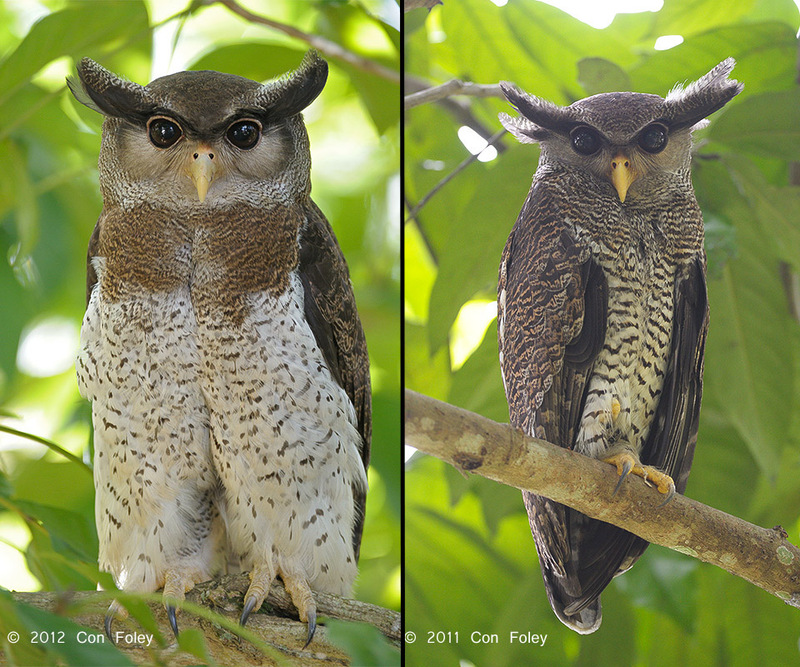 English: Malay eagle-owl, Malaysian eagle-owl; French: Grand-duc bruyant; German: Malaienuhu; Spanish: Bъho Malayo. 15.7–18.1 in (40–46 cm). 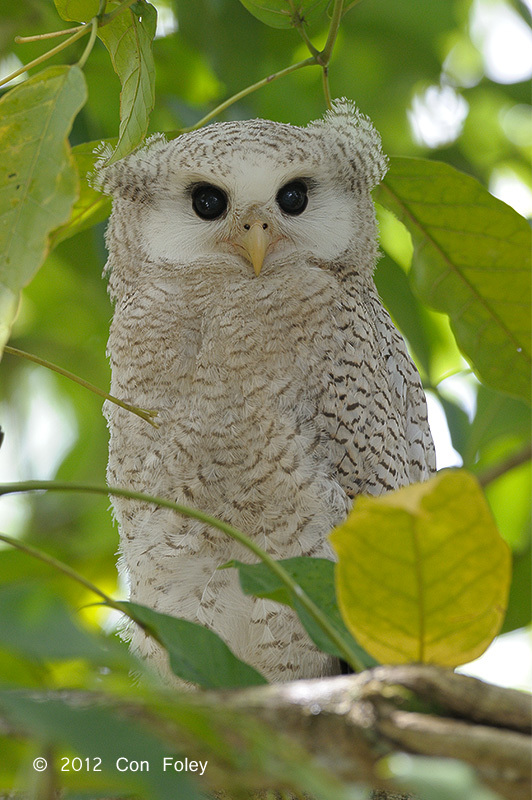 This owl has a whitish face, dark brown, outward-directed ear tufts marked with white, and brown eyes. 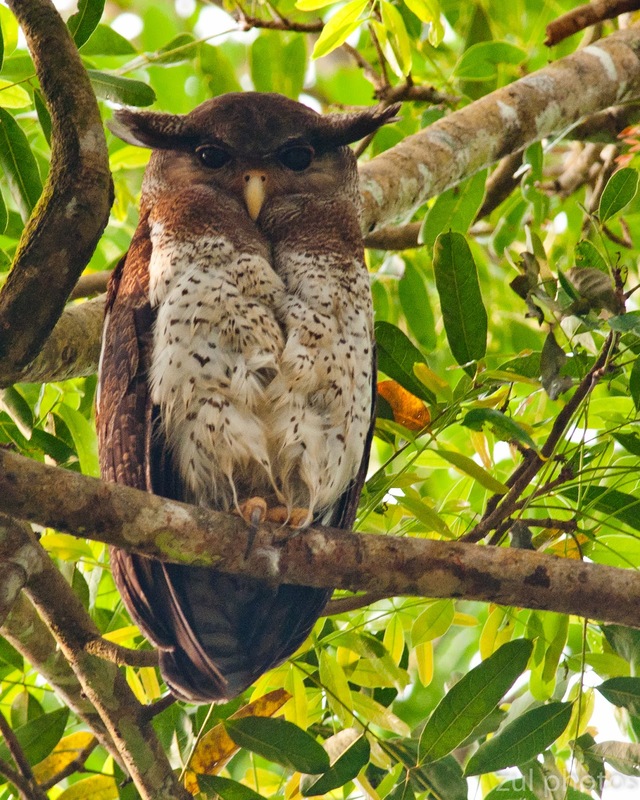 Upperparts are dark brown barred with rufous buff. Underparts are grayish white barred with brown. Beak and feet are yellow. Southern Myanmar, peninsular Thailand, south to Sumatra and Bangka Island. Evergreen and semi-evergreen forests, plantations, and even wooded gardens. 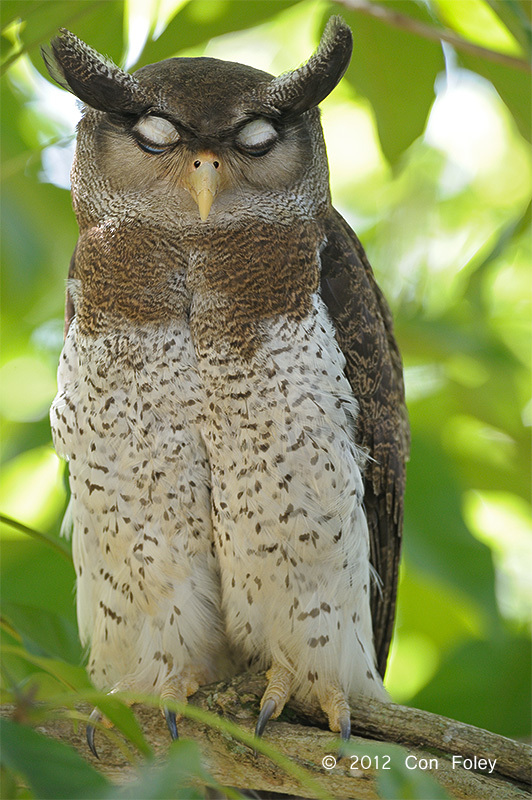 Sedentary; territorial in nest area; nocturnal and crepuscular. Large insects, small mammals, snakes, and small birds. Still hunter from a perch. Usually lays one egg either in a large cavity or in and old hawk’s nest. Incubation and fledging periods are not known. 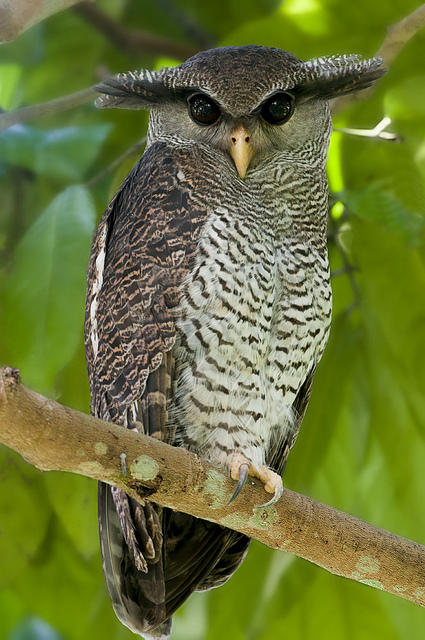 Not globally threatened, this owl is reasonably common and adaptable.